There are few pleasanter ways of spending time on holiday than indulging in wine tasting in South Africa. Not only do you get to sample a selection of wines that you may wish to take home and acquire that lovely relaxed feeling you get with alcohol running through your veins. Some vineyards also offer good restaurants allowing you to indulge yourself in more ways. Usually the setting is attractive, with a backdrop of hills and smart rows of grape vines trailing into the distance. The wine growing valleys stretching from Stellenbosch near Cape Town through to the Robertson Valley are stunning and impressive to drive through. 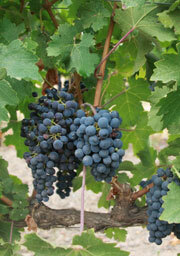 Vines grow well in the fertile plains, many of the wine grower’s farms are edges with roses, canna or other flowers. Fruit is also grown in this region. As you drive through you will see peach and plum trees and a good deal of farm activity. During harvest time, trucks dot about collecting the precious crop to crush and ferment. The ends of rows of vines become temporary coat racks as vineyard workers hand their coats and jackets on them until work ends for the day, or you may catch the workers resting and eating lunch under a few shady trees. This really is a beautiful area for a few days relaxing and educating your palate. Accommodation can be found at one of the many B&Bs or self-catering cottages in the area and indeed some of the wine growers also offer accommodation as part of a holiday in a vineyard.